A significant combination of Butterscotch chocolate, biscuits, popcorns, and breakfast tea along with roasted peanuts makes a marvelous gift. Find any reason to spread happiness among your loved ones with this special combination whether it is Valentine's Day, Birthday or Christmas. 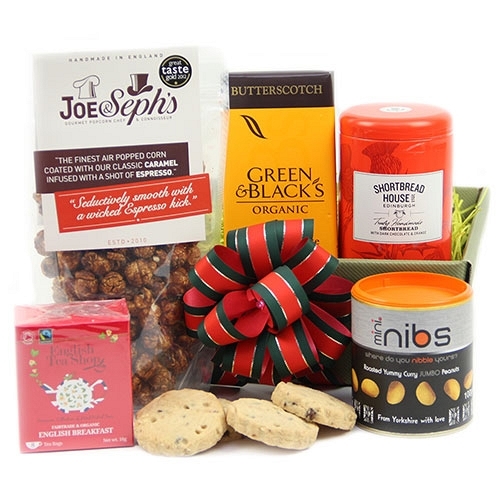 Send this amazing food hamper beautifully wrapped and packed as gift hamper delivery to UK.